Remember that leaked sketch of the next A-Class? 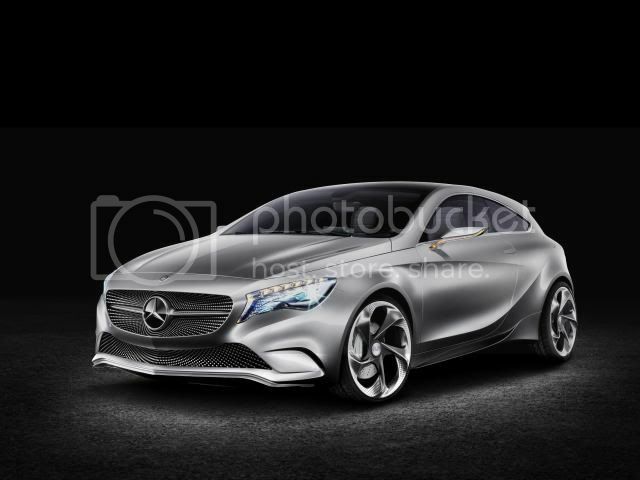 Well Mercedes will preview the next-generation A-Class at the forthcoming Shanghai motor show, with the Concept A. 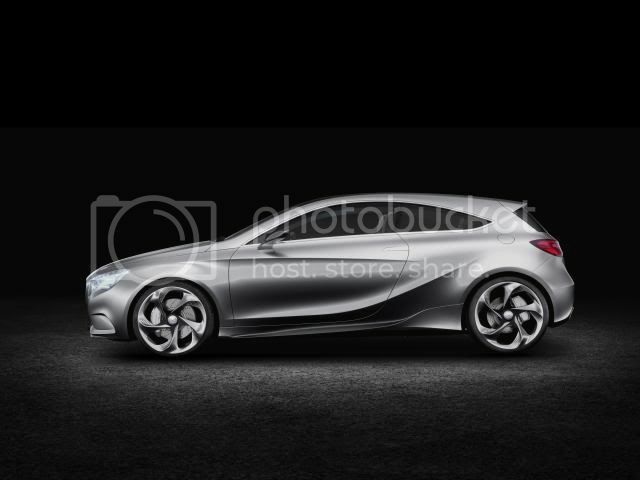 Designed to compete head-on with the BMW 1 Series and Audi A3, the production model will go on sale early 2013. 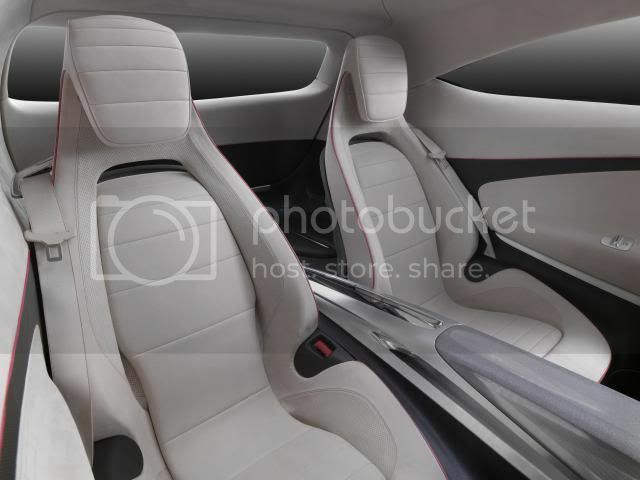 The production model will acquire the showcar's dynamic stance, characteristic details, and aerodynamic bodywork. In addition, a lankier roofline and deeper silhouette will feature. 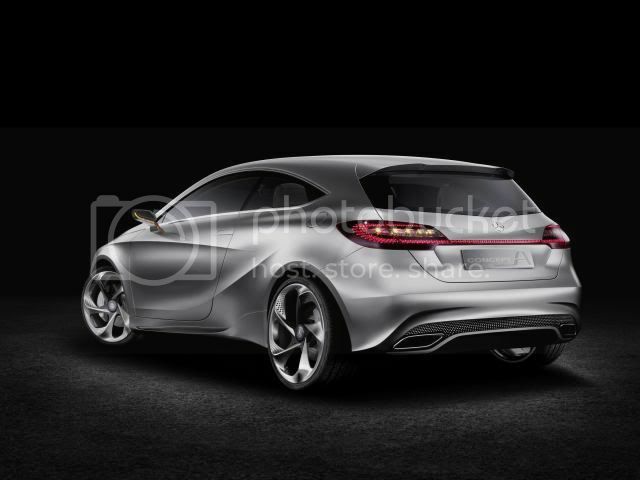 Inside, the interior will mainly focus on quality, with trim and switchgear being borrowed off the C-Class. The A-Class concept sits on an all-new MFA platform and boasts strut front suspension and a multi-link rear axle. The show-car is powered by a 210bhp (207PS/157kW) 2.0 litre turbocharged petrol engine that is mated to a dual-clutch gearbox. It is not only visually, but also technologically that the Concept A-Class is ushering in a new compact class era at Mercedes-Benz. This front-wheel drive model is powered by a four-cylinder petrol engine from the new M270 series.It was designed for transverse installation, and thanks to direct injection and turbocharging it offers high performance potential together with minimal emissions and enhanced fuel consumption. 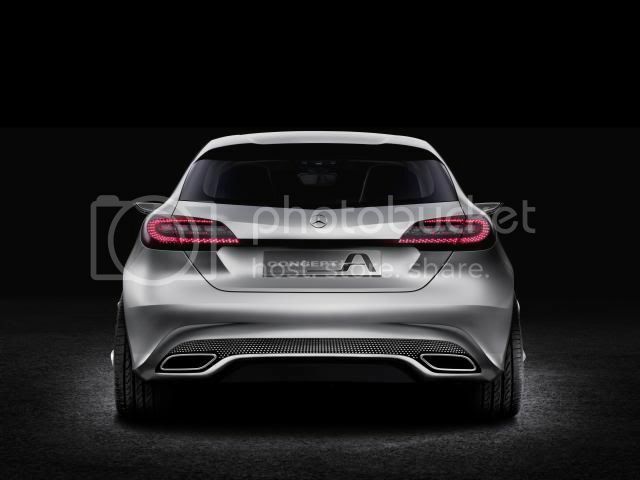 The Concept A-Class is equipped with the two-litre variant of the new engine, developing 210bhp. 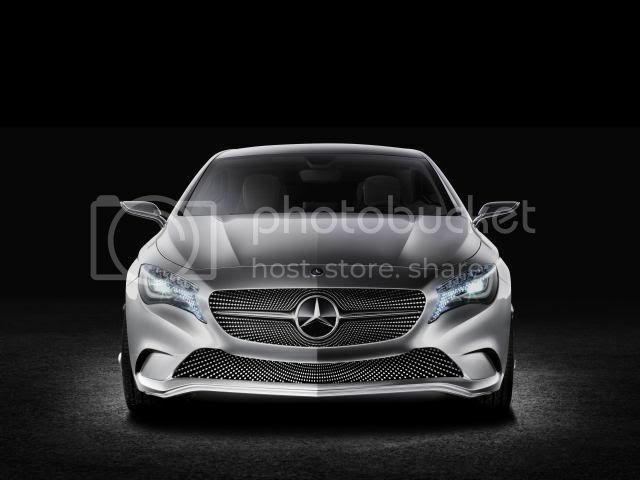 This BlueEFFICIENCY unit is combined with the new Mercedes-Benz dual clutch transmission. 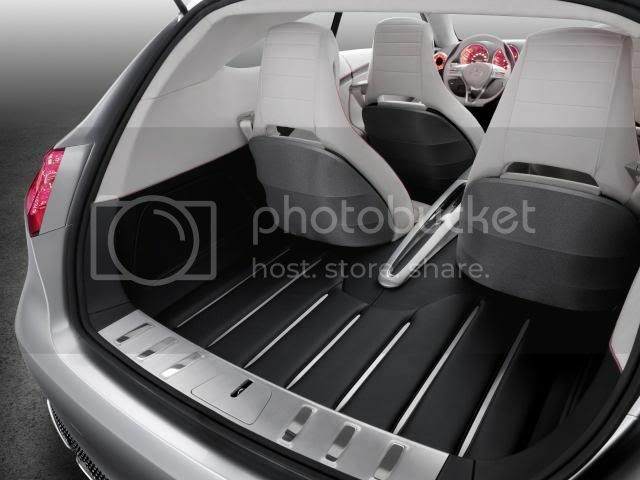 The exterior design of the Concept A-Class features the combination of defined edges and free interplay with the body surfaces that Mercedes-Benz first showed in the F 800 Style. The side view is structured by three prominent lines: the front structural edge above the front wing forms a dropping line, while the prominent shoulder muscle above the rear axle underlines the car's coupé-like character. A further line extends upwards from the rear wheel arch in a sweeping curve. 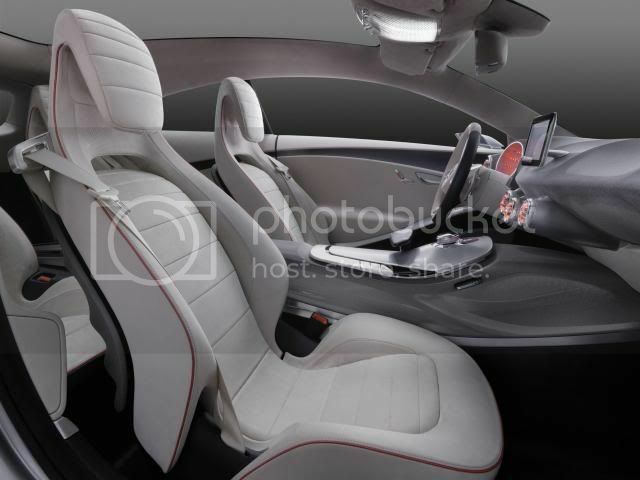 In the interior of the Concept A-Class the eye is immediately drawn to the dashboard, which has the shape of an aircraft wing and a translucent, stretchable textile lining. This enables the bionic, cellular structure of the component to remain visible.